Rock 'n roll is music, now. Music wise, the 70's were going to build off the 60's and it was all going to start with the break-up of the best band of all-time, The Beatles. 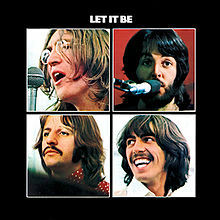 1970, among many things, was the year of the solo album and again the Beatles would lead the pack in that department too. All four Beatles had solo albums plus movies, soundtrack credits and yes of course, Let It Be. 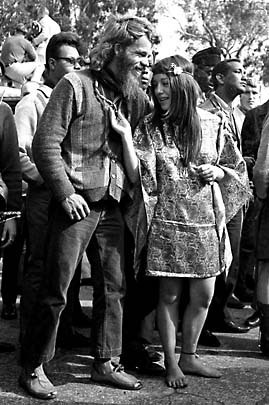 I started this blog after seeing this Wikipedia article called, 1970 in music. You have to go to this link now because it sets up my YouTube Playlist for this week. The events (including Janis Joplin's and Jimi Hendrix's deaths) and albums created by such gifted people are simply astounding. For me, I clearly remember two conflicting thoughts. One, I wished that I was 18, ("To be on your own, with no direction home"), to be free of my parent's world. And two, I was just lucky enough to be too young to be drafted for the war. I actually lived the Wonder Years, a tail-end boomer just old enough to take it all in. I was an outside spectator who wanted in. Enjoy my mix (link w/release dates & notes), (I keep adding more by the hour) released from January-December, 1970. I woke up Saturday morning thinking I'd never seen Tom Petty and the Heartbreakers in concert and that I'm going to make that a priority for the future. I then starting singing Mary Jane's Last Dance in my head all day, and that always tells me, "there's a blog in there somewhere." People have different theories on what the song is about. Many think the song is about weed or drugs, but I think it's about Tom's experience with Microsoft Windows (just kidding). The band's official video of the song kind of turns the whole thing upside down with a creepy Weekend at Bernie's theme going on. I think that video is just Tom and the boys having a little fun with us all. The song, as band member Mike Campbell says, "could also just be a goodbye love song." Well, that's always been my interpretation as I tend to lean heavily towards 'love lost' songs. But, I'll save that talk and Don Henley's Boys of Summer (also co-written by Mike Campell), for another day. 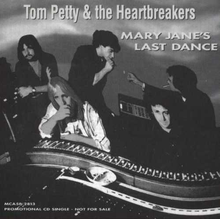 I love the beat and guitar riffs in Mary Jane's Last Dance, by one of the best bands, the Heartbreakers, but the lyrics and chorus harmony just knock me out. And now, a live concert video of the band performing, Mary Jane's Last Dance, one of my all-time favorite songs along with a longing to see these guys live myself, singing this song. This past May, I visited my pal Bill DeVoe at his home in Wilder, Idaho (population about 1000). This is a fifty-minute car ride from Boise. Anyway, he has his truck and kitchen radio tuned to Radio Boise KRBX, a community radio station which also streams its programming on the Internet at radioboise.us/stream/. During my stay, I got hooked by the eclectic variety of music coming from the various community DJ's on Radio Boise. I was surprised to be hearing such wonderful diverse music all the while surrounded by alfalfa, wheat and hops fields. Every morning we would take a walk next to the network of water irrigation channels running through all these fields. We would then come back and Radio Boise was on during breakfast and sometimes in the evening. I was in a different place and simply enjoying my new surroundings. I couldn't tell you one song I heard there, but the beauty is that the music had become a part of my overall positive experience while in Idaho. This trip got me thinking about how important it is to get out of our routine and be a part of another routine for at least a short while. And if you can't physically get away, try something small and new out of your routine. One little suggestion is to stop listening to your same radio stations and even your personal music collection and simply, step out of your musical box. Here is a fun musical exploration to do just that, try Radio Free America. Currently, I'm in my hometown of Santa Maria, California and visiting with another old pal of mine, Paul Hobbs. I'm telling Paul about this blog and I asked him to provide me a song title I want to include here about me being 60 years old and having heard the same classic rock song, far too many many times. I said give me a good example of a great song you once loved, but radio has forever killed it for you. He said, "Brown Eyed Girl" by Van Morrison. So true, within earshot, my mind just wants to block out that song. We humans can only take so much saturation of the same thing, but yet that is what we are fed on the commercial airwaves. So I would like to start a little sidebar here called, Great Songs Ruined by Radio. Now, think of a song that you once loved that has been ruined for you by overplay, year after year on radio. Please write it in the comments section below if you like or send me an email at dgmcintosh@gmail.com with the subject line - Great Songs Ruined by Radio. I will collect a list and present in a future blog with the same title. One of mine is, Won't Get Fooled Again by the Who. Damn you KGB-FM. 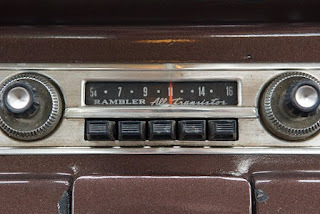 I'm not just talking about in your car where you have control, but at the grocery store, the mall, or at the stop light from some baby boomer's car with the windows rolled down - "pick up my guitar and play just like yesterday." "There is almost a limitless amount of music that’s been recorded in the world, yet most of it doesn’t get heard. up and down the radio dial, most stations are owned by highly- consolidated media organizations – many suggest that it’s 7 corporations (CBS, Time Warner, Clear Channel, Disney, Comcast, News Corp, Viacom) that direct most of the public media we consume every day. talk about ultimate control of content and discourse. 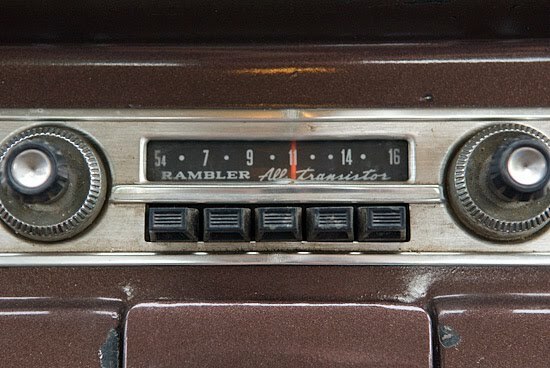 at RadioBoise, DJs shape the tone of their shows independently around the loose guidelines of providing sounds that are more like a unique gems than overplayed sameness that exists on other stations. The internet provides vast means in which you can entertain your ears, most of which at their root are computer programs. When human beings program a show to share on the airwaves, the idea is that a warmth and personality is communicated with awareness of our communities’ nuances that the automated mechanisms cannot provide. That is one definition of community. 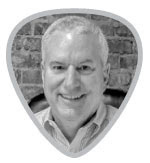 The station’s goal is to make sure we’re filling a unique niche in music and local-interest programming that is refreshing, engaging, and helps expand our listeners perspective."